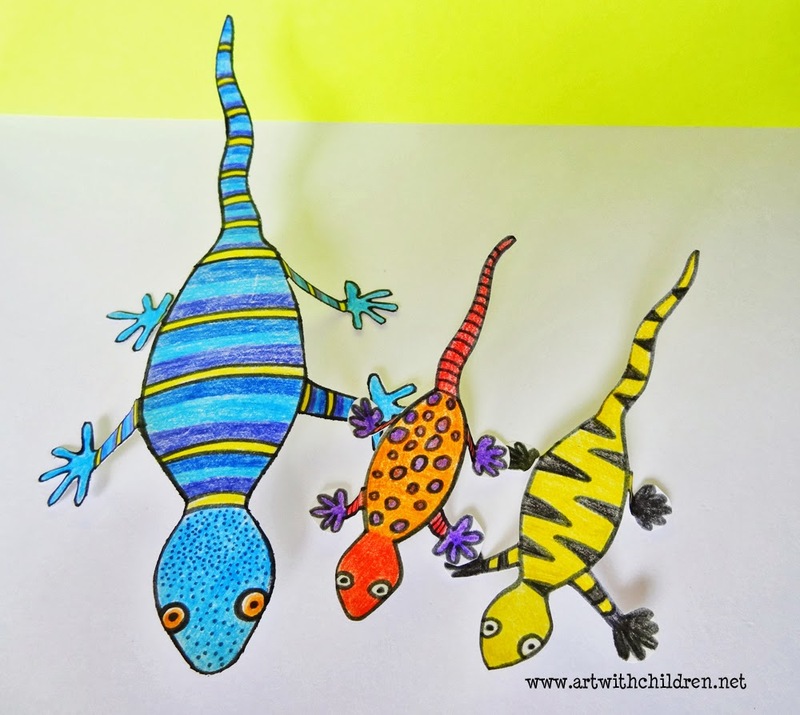 While making paper geckos earlier this week, we also discussed a few interesting facts about them. 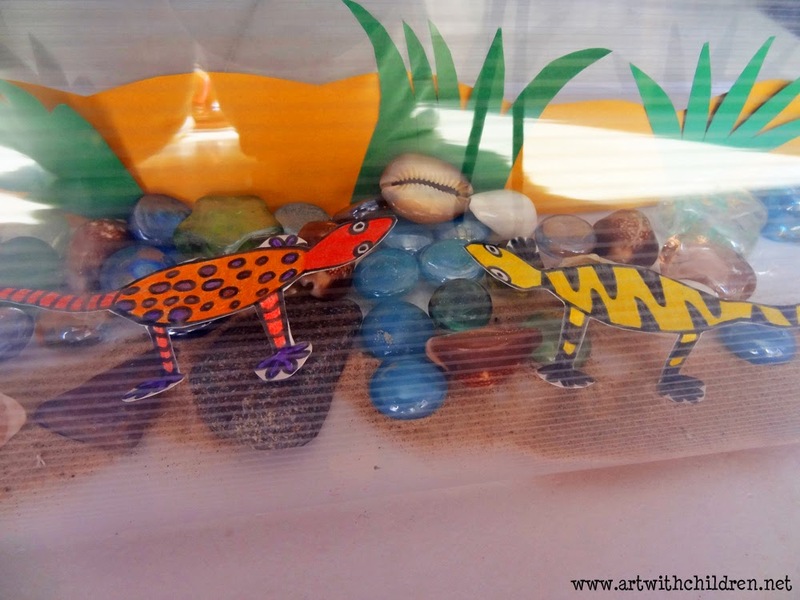 This was a part of our spring theme activity as the house geckos are usually back after their winter break :) We came upon the topic about having them as pets... and we discussed about how a naturalistic terrarium could be built and maintained. 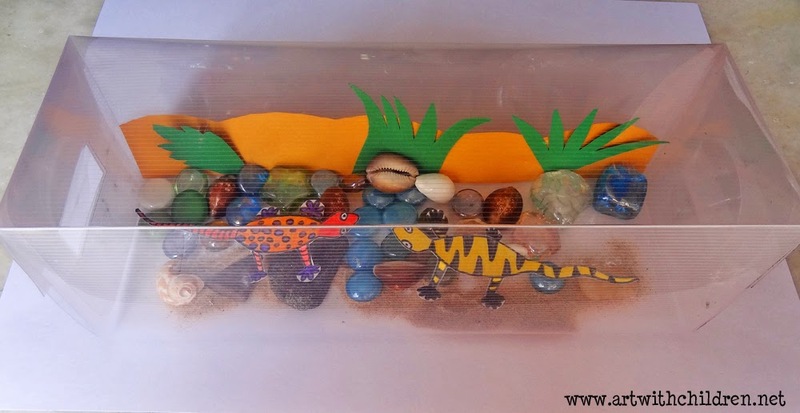 Inspired by the facts our group of 6 and 7 year olds were keen to make a craft terrarium for their paper geckos! 'Ah! very simple' I hear them saying, 'we'll need a clear box or even a cereal box will do for now'. After the initial quibbling about not finding a bigger box or things not sticking faster.... :) it was good to see things working! 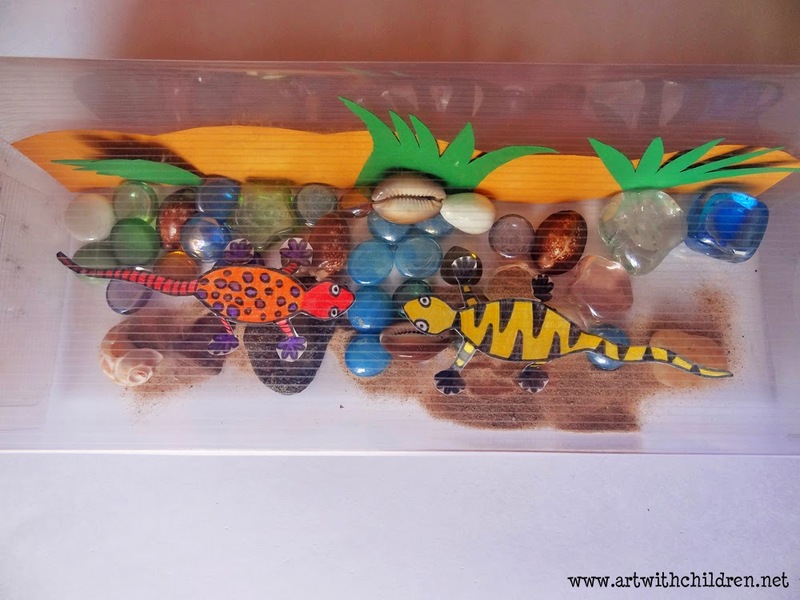 They even got a few clumps of grass and other wild plants from the yard, to add to the small stones, twigs, sand, leaves cut out of green card stock...and more. I thoroughly enjoyed watching them at work. What I miss is that I could not click pictures of their creations before they took them home. Their excitement was overwhelming! 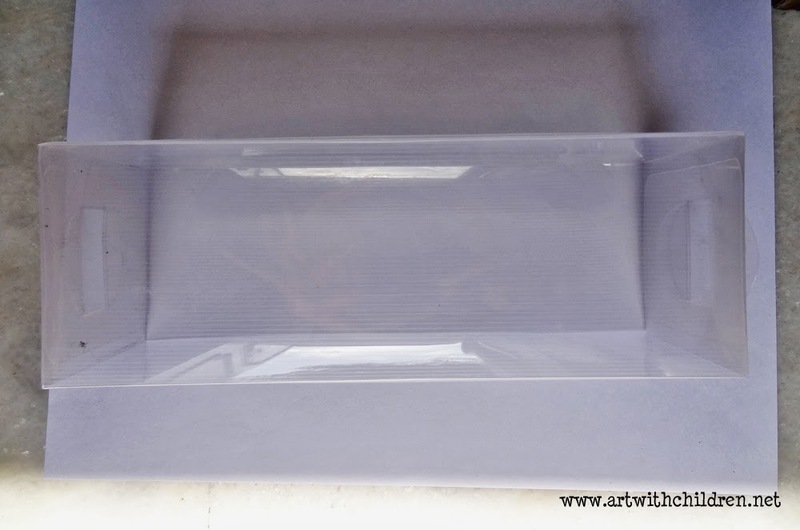 A clear box that comes with gift packs or other packaged products. 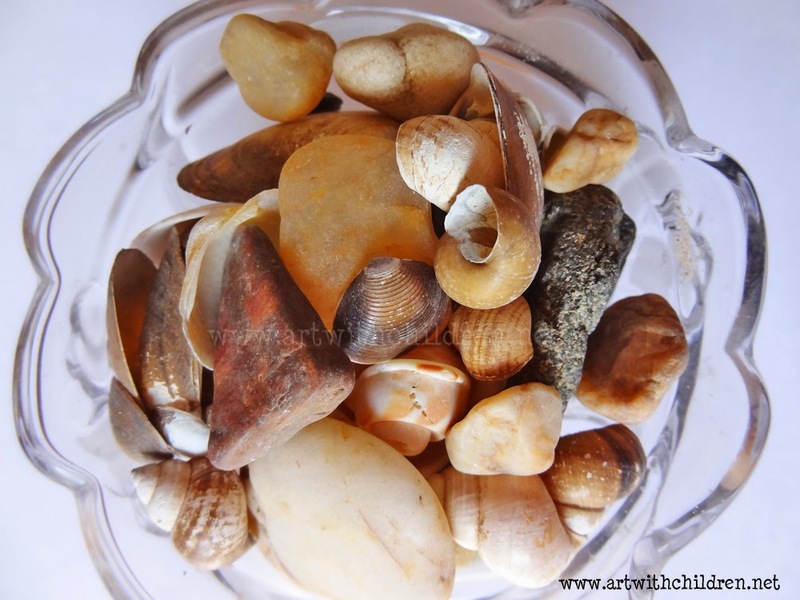 We had a collection of sea shells, sand and stones. 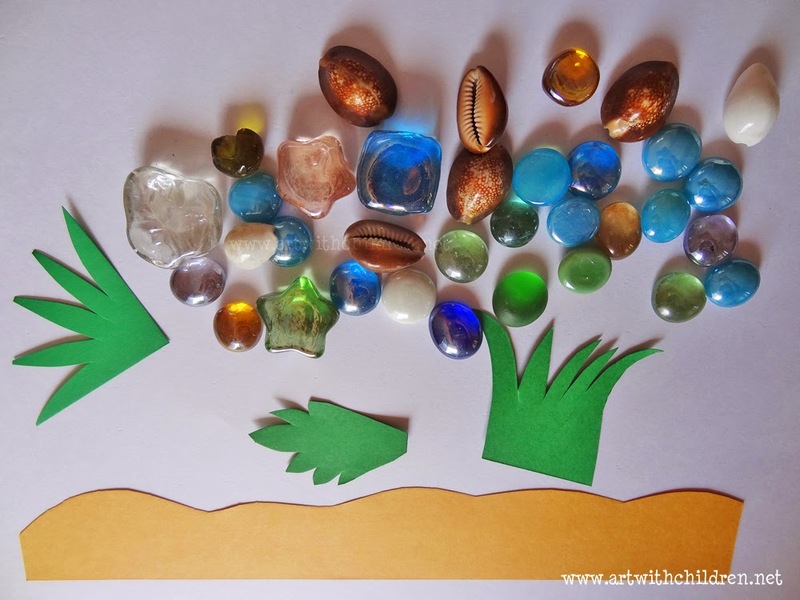 And some coloured stones and paper cutouts of leaves or plants. A yellow paper cutout for an impression of foliage on the background. 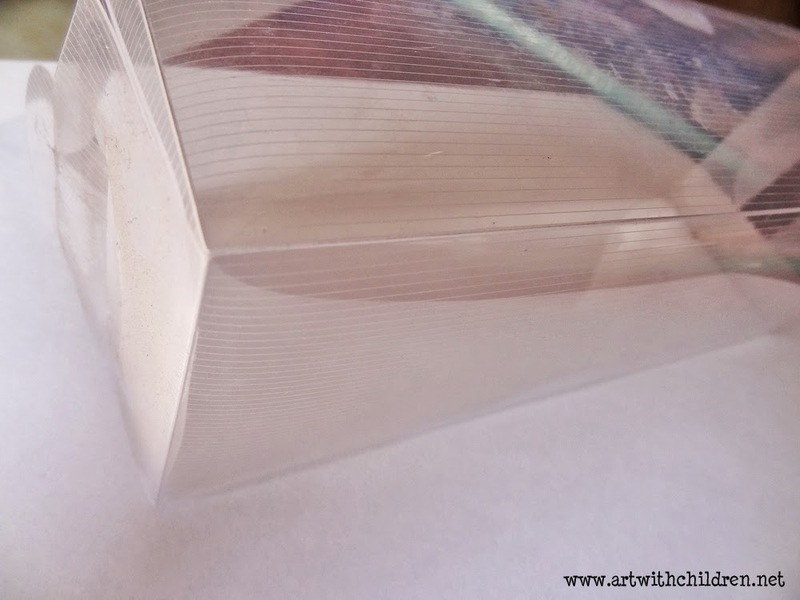 After sticking the backdrop images in place, apply a thin layer of glue to stick sand or a brown paper which ever available. Decorate the rest of it and place your geckos. We made smaller geckos as we wanted to have two of them.